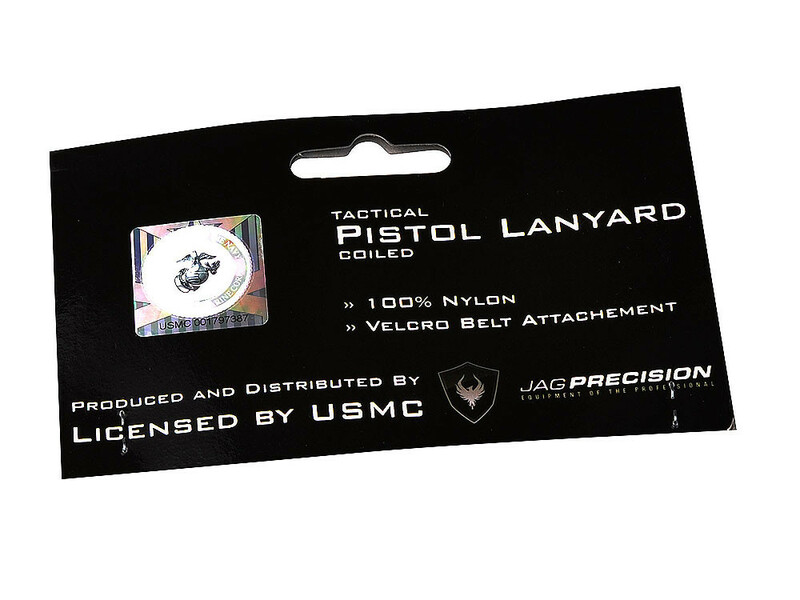 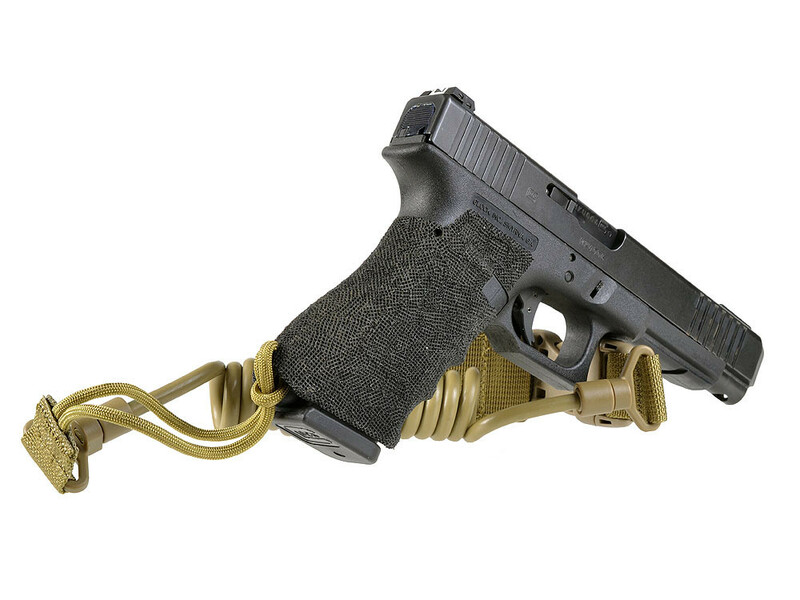 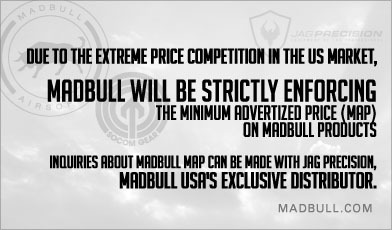 OEM by J-Tech Gear for distribution by JAG Precision, this high quality Pistol Retention Lanyard is fully licensed by the United States Marine Corps. 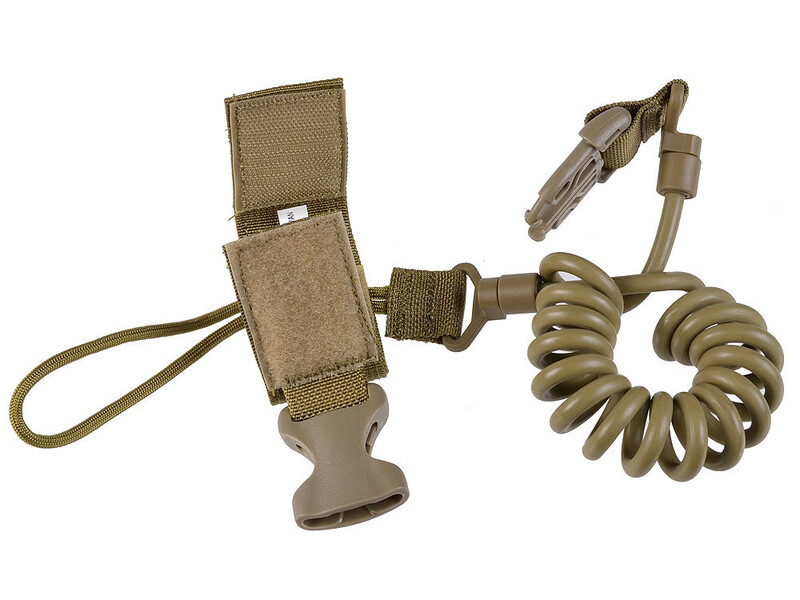 The Pistol Retention Lanyard is a rubberized coyote brown coil cord which is invaluable during high stress activities such as airborne and maritime operations to reduce the possibility of losing the sidearm. 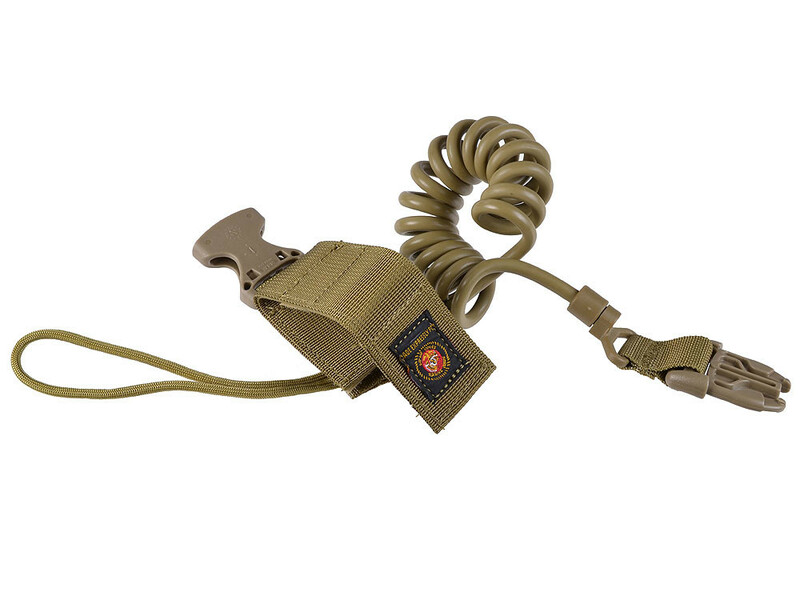 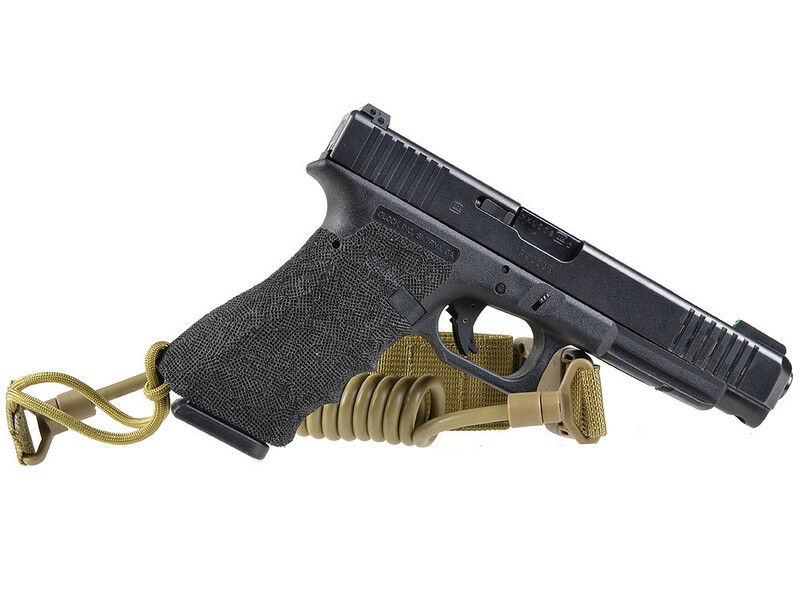 It is usable with any sidearm having a lanyard loop by means of a girth hitch. 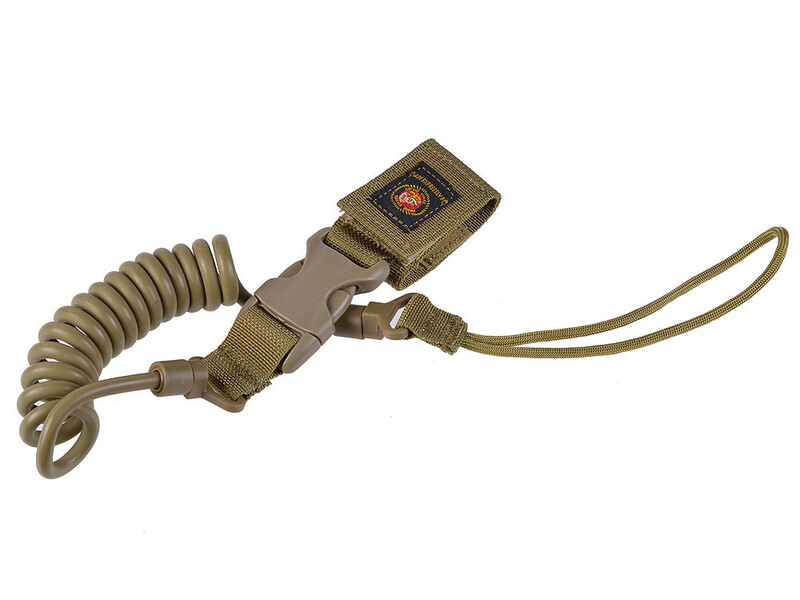 The lanyard is very useful during Close Quarters Battle by also reducing the possibility of the weapon being taken away from the operator. 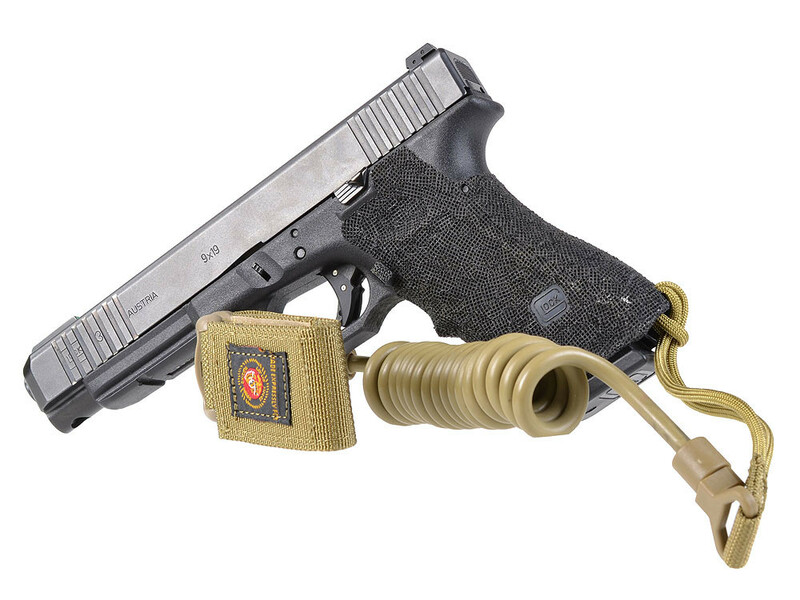 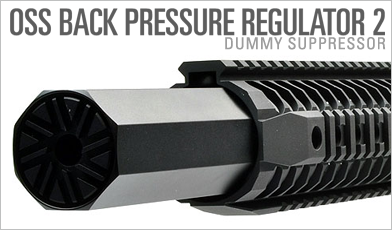 In the event of such a situation, with adequate training, the operator may be able to recover and disarm the threat and recover his or her sidearm. 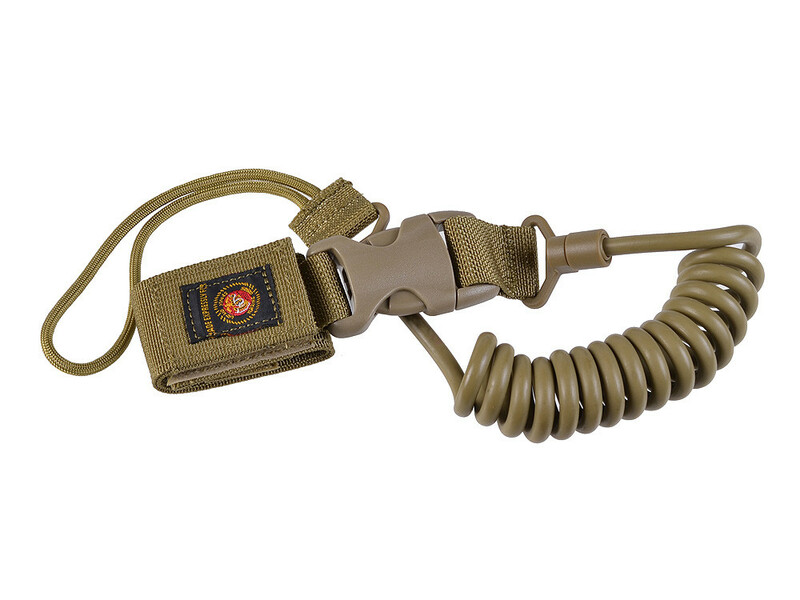 For added operator safety, the lanyard will break away in the event of entanglement at around 100 pounds of force. 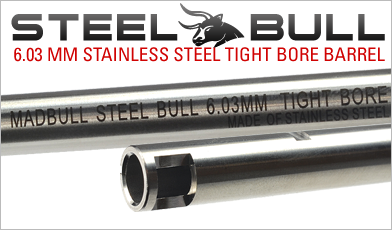 There is also a quick release buckle to swiftly add and remove from a belt without having to remove the user's belt for installation.